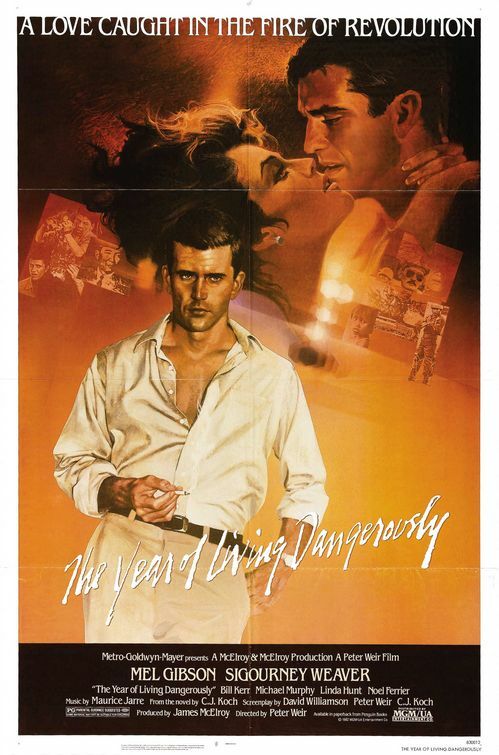 The Year of Living Dangerously, directed by Peter Weir, is a dramatic film that delves into the thirtieth September Movement in Indonesia in 1965. While maintaining a substantial cast and a storyline that resembles the usual love affair storylines of modern day films, the film also raises awareness for a period of Indonesian political history that would otherwise go under the radar for many – The Thirtieth of September Movement and the Indonesian Killings of 1965-66. The Thirtieth of September Movement are responsible for the assassination of 6 influential Indonesian Army generals on October 1st 1965. Following the assignation the group declared control over all the media outlets and held President Sukarno under its coup. This attempted coup failed by the end of the day however it did claim the lives of two more central officers prior to the collapse of the coup. The backlash from this attempted coup was severe and is know as the Indonesian Killings of 1965-66. Following the failed coup there was fairly immediate alleged association of the coup with the Communist Party of Indonesia PKI. The reaction to this association was the killing of more than 500,000 people who were alleged to be in association with the Communist party. It is this transition that shifted the weight of the Indonesian political climate to no longer include such a strong communist presence and it is this extermination that highlights a period of unjust human rights violations that are not often publicized within Indonesian history or international perspectives of Indonesian history. It is this film that highlights the issues and context surrounding this killing spree and in this way the film brings to light an important yet harrowing period within Indonesia’s history. The PKI massacre is considered one of the worst massacres of the 20th century despite it’s lack of recognition in comparison to the Soviet massacres and Nazi mass murders. Much is still unknown about the killings as they occurred at a time when there were few international journalists in the country and the military was in control of the flow of information. The current estimation of upwards of 500,000 is widely accepted by scholars however it is important to note that that number has been estimated to be much higher. Indonesia, like most countries, shares moments of bleak history. It is important to understand and acknowledge these periods in history in order to move forward. It is with that acknowledgement that Indonesia can hope to achieve a greater sense of closure for what remains a very ambiguous period of Indonesian History.